Content and Language Integrated Learning (CLIL) is an approach where students learn a subject and a second language at the same time. A science course, for example, can be taught to students in English and they will not only learn about science, but they will also gain relevant vocabulary and language skills. It’s important to note that CLIL is not a means of simplifying content or reteaching something students already know in a new language. CLIL courses should truly integrate the language and content in order to be successful – and success is determined when both the subject matter and language is learned. CLIL can work for students of any age, all the way from primary level to university and beyond. So long as the course content and language aims are designed with the students’ needs in mind, there is no limit as to who can benefit from this teaching approach. However, it is most commonly found in primary and secondary school contexts. What are the main benefits of CLIL? Many teachers see CLIL as a more natural way to learn a language; when a subject is taught in that language there is a concrete reason to learn both at the same time. And as students have a real context to learn the language in, they are often more motivated to do so, as they can only get the most of the content if they understand the language around it. Moreover, being content focused, CLIL classes add an extra dimension to the class and engage students, which is especially advantageous in situations where students are unenthusiastic about learning a language. CLIL also promotes a deeper level of assimilation – as students are repeatedly exposed to similar language and language functions and they need to produce and recall information in their second language. Furthermore, it has the advantage that multiple subjects can be taught in English, so that students’ exposure to the language is increased, meaning their language acquisition is faster. CLIL also encourages students to develop 21st Century skills, including the ability to think critically, be creative, to communicate and collaborate. Read more about 21st century skills in our post Seven essential 21st century skills for secondary learners. What are the challenges of CLIL? As CLIL is subject-focused, language teachers may also have to develop their own knowledge of new subjects in order to teach effectively. They must also structure classes carefully so that the students understand the content of the lesson, as well as the language through which the information is being conveyed. And when it comes to classroom management, educators need to be very aware of individual student understanding and progress. It’s therefore important to consistently concept check and scaffold the materials to be sure both the language and content are being learned. How can you apply CLIL to your class? It’s important to have a strategy in place when applying CLIL in your courses. One of the key things to remember is that the language and subject content are given equal weight and that it shouldn’t be treated as a language class nor a subject class simply taught in a foreign language. Culture – Exposure to alternative perspectives and shared understandings, which deepen awareness of otherness and self. Using a number of frameworks can help you prepare your lessons and make sure activities are challenging, yet achievable for your learners. Bloom’s Taxonomy, for example, classifies learning objectives in education and puts skills in a hierarchy, from Lower Order Thinking Skills (LOTS) to Higher Order Thinking Skills (HOTS). In the diagram below, you can see the levels increasing in complexity from the base up to the triangle’s peak. The framework shows how different tasks relate to different levels of assimilation. It’s fairly intuitive, but applying this information to your lesson preparation is not always so straightforward. That’s where the helpful Blooming Verbs list comes in. The following chart shows you how different verbs can correlate to the different stages in the taxonomy, allowing you to formulate questions and design activities that develop your CLIL classes in a logical way. Can you name three different types of jungle animal? Can you tell me how often a python eats food? Can you describe what it’s like in the rainforest? You can then do the same for the subsequent stages of the taxonomy. The verb chart can also help you design a class project or series of activities that follow a logical sequence using the “Students will be able to…” (SWBAT) framework. 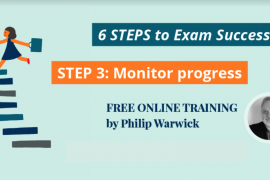 This will help you set clear objectives and check progress towards the end of a class, series of classes or course. In this way you will be able to scaffold your materials to ensure that your students are supported step by step while learning subject matter and achieving language learning objectives. If you are interested in teaching your students through CLIL, Big English 2nd Edition is a great way to get started. This intensive 6-level course comes with online resources for students and teachers and is aimed at primary students aged 6-12. It offers a curriculum that delivers comprehensive English language acquisition exercises, alongside CLIL and life skills. The course includes new Content Connection and Culture Connection pages, which will not only introduce your students to relevant language, but will also help them learn about new cultures and traditions. With a strong focus on measuring progress, Big English offers a new look at AfL though checks and tests in the Student’s Book and the Workbook. 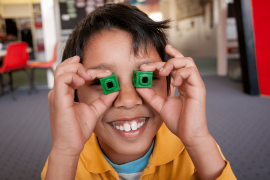 Finally, 21st Century skills form the bedrock of this course and the “Think Big” sections are designed to help students develop essential critical thinking, collaboration, communication, creativity and digital literacy skills. Head over to the website to download a free sample and get started today.